If you’re like many, you have multiple mini bottles of shampoo, conditioner, lotion, etc. or samples of different personal care items clogging up your bathroom cabinets and drawers. Remember that goody bag you got from the dentist full of unopened toothbrushes, floss, or toothpaste that you have been getting and never use? While you do some spring cleaning this year, consider putting them to good use and donating them to the Chamber’s Emergency Hygiene Kit drive! 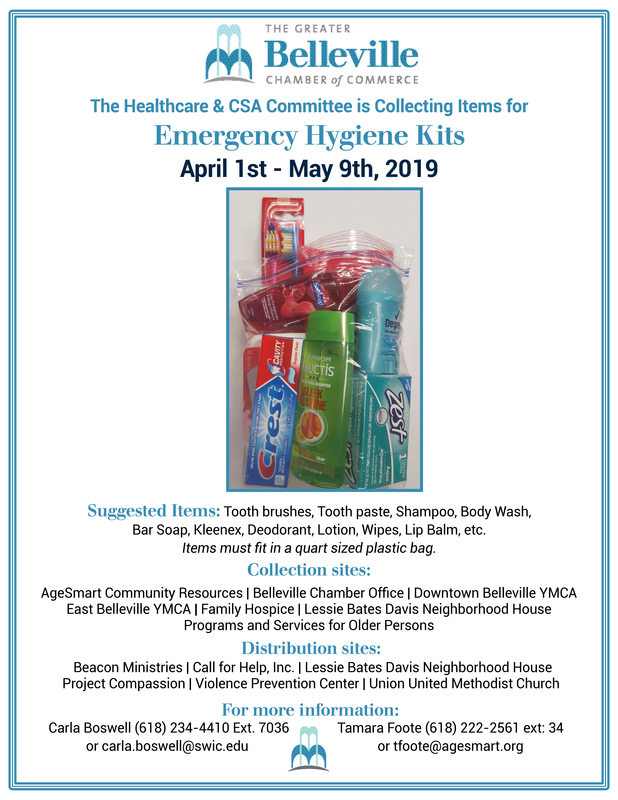 Now until May 9, the Greater Belleville Chamber’s Healthcare & Community Service Agency Committee is collecting these items to help those in need in our area. Recipients range from homeless veterans to women and children needing assistance recovering from hardship. Items needed and donation sites are listed below.